A patient’s main source for regular medical care, ideally providing continuity and integration of health care services. A patient’s main source for regular medical care, ideally providing continuity and integration of health care services. All family physicians, and many pediatricians and internists, practice primary care. 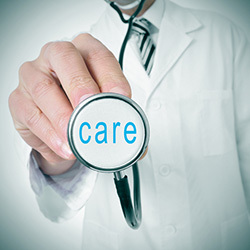 The aims of primary care are to provide the patient with a broad spectrum of preventive and curative care over a period of time and to coordinate all the care that the patient receives. Why is choosing a Primary Care physician important? There are various benefits to having a primary care physician. Your primary care physician will get to know you as a whole individual, becoming familiar with your medical history and lifestyle. If you are ever sick and in need of medical care, the time you invest in building your relationship with your primary care physician while you are healthy will ultimately pay off. We understand that selecting a primary care physician who meets your health care needs can be challenging. At AssociatesMD we are confident one of the primary care physicians will meet your health care needs. Our experienced Primary Care Physicians are available to help you with any of your health care needs. Our Team of dedicated Physicians have been practicing and treating our community for as long as 30 years. Our Team’s reputation is of excellence in our community and they are highly diversified in order to help you find a Primary Care Doctor who you can trust and build a long standing “Doctor-Patient” relationship. At AssociatesMD our Physicians focus on YOU as the individual patient. We take pride on spending the time with each individual patient to address all of your concerns in order to help you live a better and healthier life style focusing on preventive medicine. Our team of physicians welcome children of ages 5 and above. We accept most insurance, for a list of all insurances accepted click on the button below.